It's 11th May 2018, and Love Mortgages launch their new J-D Design superfast website. With that comes a raft of new features, engagement possibilities and online awareness; as Love Mortgages move from having a dated, non-responsive website to one powered by a modern commercial website management system. 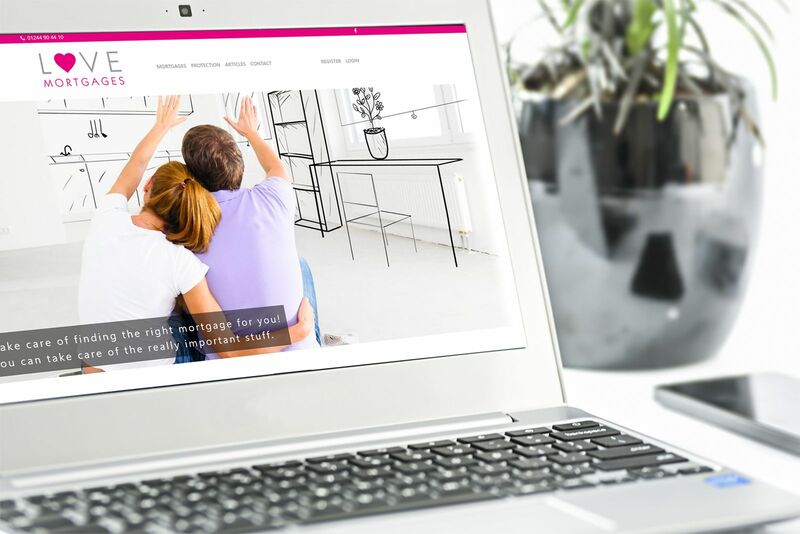 We've worked very hard to bring Beth and her team at Love Mortgages an incredibly vibrant, engaging and professional online presence to their business, while also working with design and marketing partners to ensure their new website will get off to the best start possible. Love Mortgages provides friendly and professional mortgage, and insurance advice and are based in Flintshire, North Wales. Working with J-D Design over the last 4 months to develop their brand new website, while planning an interactive client and case management system which will be plugged in soon - so stay tuned for updates!